Sara Garcia is a Spanish rider competing in the Dakar 2019. She’s one tough lady and hopes to become the first woman to finish the race in the Original by Motul class, which used to be called the Malle Moto. The Original by Motul class is the toughest in the competition. Riders must race without assistance. That means Garcia will have to do everything. Set up her tent, do maintenance on the bike, etc. The Dakar is a grueling race even with a support team. So anyone competing in the Original by Motul class deserves some serious respect. According to ADV Pulse, there are 34 competitors in the class this year. Garcia is a mechanical engineer, so there’s no doubt she has the tuner chops to get her bike through the race. She’s also an accomplished rider and racer, too. Garcia is a three-time champion of the Rally Spain TT and snagged the FIM World Cup in 2017. She’s also the director at the Teo Martín Motorsport Institute in Alcorcón, Spain. A more qualified person, I can’t imagine. She has her work cut out for her in the Dakar 2019. Garcia has suffered injuries in the past and has expressed apprehension about dunes in recent interviews. She will be tested during this race as it’s about 70 percent sand. Despite the tough road ahead (I guess it’s not really a road), she told ADV Pulse she’s optimistic about the race and is looking forward to making history. Garcia races a Yamaha WR450F. You can follow her journey on her Facebook page. I’ll be keeping an eye on Garcia’s progress. Hopefully, she can achieve her goal as the race wears on. One thing’s for sure, though, her story is an inspiring one. It’s stories like her’s that will encourage more diversity in future Dakar races. 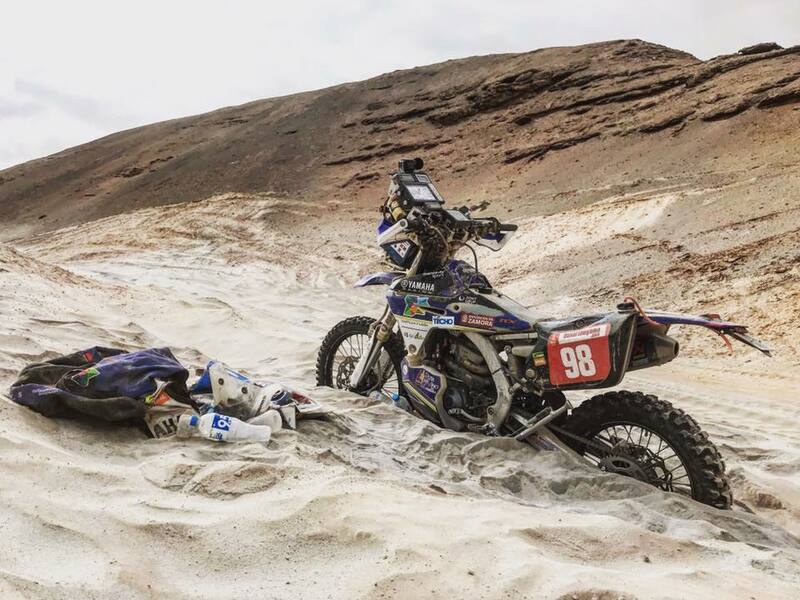 The post Sara Garcia Seeks to be First Woman to Finish Dakar in Toughest Class appeared first on Web Bike World.